Salvation And Survival: Where Will It All Lead? The news from the Middle East becomes more chaotic each day, and threatens to involve the whole world. The latest headlines which disclose the execution of 47 dissidents by the government of Saudi Arabia has ignited the Arab world, and pitted the Sunni guardian of Islam (Saudi Arabia) against the Shia guardian of the Muslim faith (Iran). It doesn't help their centuries-old battle for supremacy when a prominent Shiite cleric, Nimr Baqr al-Nimr, was among the executed. One must understand the basis of their acrimony in order to see how it might affect the fragile peace of the world. The blog, Behold Israel, explains it succinctly and concisely. 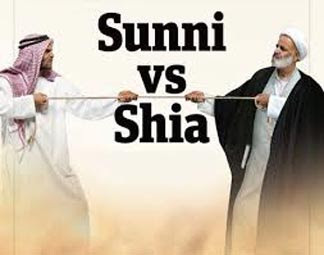 The division between Shia and Sunni dates back to the death of the Prophet Muhammad, and the question of who was to take over the leadership of the Muslim nation. Sunni Muslims agree with the position taken by many of the Prophet’s companions, that the new leader should be elected from among those capable of the job. This is what was done, and the Prophet Muhammad’s close friend and advisor, Abu Bakr, became the first Caliph of the Islamic nation. The word “Sunni” in Arabic comes from a word meaning “one who follows the traditions of the Prophet.” (The adoption of the name Abu Bakr al-Baghdadi, by the leader of ISIS, shows his allegiance to the Sunni branch of the Muslim faith). On the other hand, some Muslims share the belief that leadership should have stayed within the Prophet’s own family, among those specifically appointed by him, or among Imams appointed by God Himself. The Shia Muslims believe that following the Prophet Muhammad’s death, leadership should have passed directly to his cousin/son-in-law, Ali bin Abu Talib. Throughout history, Shia Muslims have not recognized the authority of elected Muslim leaders, choosing instead to follow a line of Imams which they believe have been appointed by the Prophet Muhammad or God Himself. The word “Shia” in Arabic means a group or supportive party of people. The commonly-known term is shortened from the historical “Shia-t-Ali,” or “the Party of Ali.” They are also known as followers of “Ahl-al-Bayt” or “People of the Household” (of the Prophet). Sayyed Ali Hosseini Khamenei is the current Ayatollah and Supreme Leader of Iran. Khamenei claims to hold the title of Sayyid, which means that he claims direct patrilineal descent from Muhammad. So you can start to put the puzzle pieces together and see why President Bashar al-Assad, of Syria, who describes himself as an Alawite, a sect of Shia Islam, is battling the Sunni fighters of ISIS, and receiving the support of Shia Iran. This naturally puts Saudia Arabia (Sunni) in direct conflict with Iran, but also puts them in a precarious position with their own Sunni citizens. Because of their alliance with the West (and primarily with the United States) and their opposition to the rise of the barbaric Islamic State (ISIS, who is also Sunni), there is a growing tension among those in Saudia Arabia who would like to turn more toward the fiery doctrine of Wahhabism, which is at the heart of ISIS's ideology. How does the new leader of Saudia Arabia, King Salman bin Abdul Aziz Al Saud, maintain allegiance from his people and still preserve his oil dealings with the West? How does our country's treaty with Shia Iran to continue their nuclear program sit with King Salman's Sunni populace? It is a balancing act that threatens to engulf the entire world into choosing sides. Add to this the fact that Saudia Arabia lies between the ISIS-occupied regions of Iraq (Sunni) and Iran (Shia), and contains the holy Islamic sites of Mecca and Medina, and you can see that it is truly at the center of a powder keg. Will that result in the Judgment of the Nations that Isaiah 17 speaks about? Will we hear "the roar of many peoples, like the roaring of the seas?" Will the "nations rage like the raging of many waters?" And will there be "sudden terror" in the evening, and before morning, "it is gone?" I know that we can find many prophecies in the Bible that seem like they are pointing to current world events, and I know that none of us can know the mind or exact plans of God. But even if the Day of the Lord is years or centuries away, we cannot ignore that the confluence of ISIS with the Sunni House of Saud and the Shia clerics of Iran could cause desolation that will spill over to the rest of the world. We already see the effects of Middle Eastern refugees -- both innocent ones and those who wish to infiltrate Europe and the West with their hostility and hate. How much more will we have to endure if nuclear weapons are engaged? If nothing else, these executions in Saudia Arabia, the continued march of ISIS, and the disruption in relations between Saudi Arabia and Iran may have implications for peace efforts in Syria and the rest of the Muslim world. We are fooling ourselves if we think that it won't affect us. For now, we can't predict where all this leads, but it is wise for us to stay alert, pray for God's intervention, and be ready to share the Gospel with those who will be fearful. That's it in a nutshell, and it goes without saying ... we are living in interesting (and dangerous) times! Amos 13:40-41 Beware, therefore, lest what is said in the Prophets should come about: "Look, you scoffers, be astounded and perish; for I am doing a work in your days, a work that you will not believe, even if one tells it to you."